Home > Literary Places, On Writing, Reading, Walking	> What is it about walking? Concord, Massachusetts, the birth place of Henry David Thoreau, is a very civilised place these days. 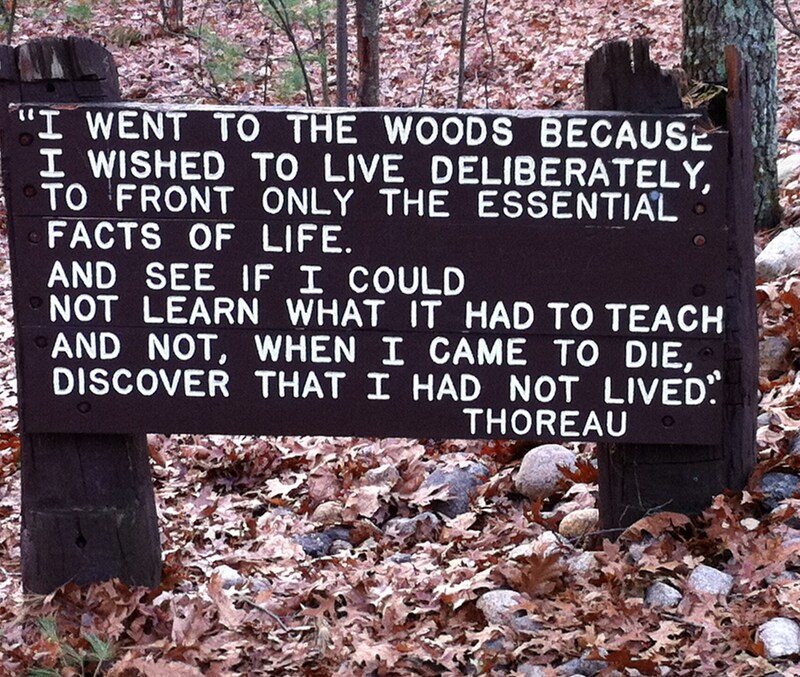 When I travelled there from Boston, I had to go to the nearby Walden Pond, the place Thoreau made famous and where he lived the simple life in a cabin for two years. His essay, Walking (1862), is one of the books that faces outward on my book shelf to remind me to delve into the richness of its pages. He comes closest to answering for me the question ‘what is it about walking?’ And he is no champion of civilisation. Rather, he speaks for ‘absolute freedom and wildness’ and not for the merely civil. Walking, for Thoreau, is above all about entering a wildness where he can recreate himself. It is the wildness of the savage he strives to rediscover. Nature is this vast, savage, howling mother of ours. In this he reminds me of the Irish writer John Millington Synge and his tramples through Wicklow and North Mayo and the Aran Islands. The most alive is the wildest. Now for the walking boots.